Wilson Parking has made it’s Book a Bay system available to operate at the Barrack Arch parking complex, located at 256 St Georges Terrace as well as the Queens Complex, located on Queen Street. The rate is $5.50 including the booking fee. Book online now. Transperth has partnered with Chevron City to Surf for Activ to cover your journey to-and-from the race bib collection and race day. All registrations include free travel via all Transperth services to the race bib collection at Lords Recreation Centre, Subiaco. Simply travel along the Fremantle train line and exit at Daglish or Subiaco train station (both stations are within a short walking distance to Lords). If you’d prefer to travel by bus, use Route 28 between Perth Bus Port and Claremont Station and exit off on Hay Street. Free transport for bib collection is valid Friday 24 August between 7.30am and 7.00pm, and Saturday 25 August between 8.00am and 5.00pm. Remember – You must have your event ticket with you while you travel in order to be eligible and compliant with transport rules. If you’re planning on registering at the bib collection, you must pay for your fair on your journey to collection.  Your Chevron City to Surf for Activ registration includes free travel on race day. Free travel time applies 3 hours before the official race start, during race hours and 3 hours after the race has officially ended. Trains to the event will be running on all train lines: Joondalup, Mandurah, Armadale, Thornlie, Midland and Fremantle. If you’re planning to travel by bus, we strongly recommend that you use the dedicated event shuttle buses. For 4km participants a shuttle bus service will run from Perth Busport to McLean Park, Floreat, from 6.50am onwards. Shuttle bus services will also travel to City Beach Oval, departing every 15 minutes from 7.00am onwards. From approximately 8.30am buses will commence operation from the finish line to McLean Park, Floreat and Perth Busport. Buses heading to Stirling Station will be available from 9.00am at the finish line. Please note – all prams must be folded before boarding the bus.